Think inkjet – Think industrial. Think fluid deposition, not just graphics. Inkjet can now do far more than you might have thought. Decoration of complex shapes using robotics to challenge IMD; precision coating to challenge spray; fluid deposition; additive & advanced manufacturing – and so much more. GIS is the leading developer and supplier of application software, drive electronics and fluid delivery components – supporting a wide range of industrial inkjet printheads. GIS technology is production capable and designed to work reliably 24/7 in rugged industrial settings. We have a global customer base using our technology to drive inkjet printheads in applications such as product decoration, track & trace, jetting direct to complex shapes, 3D and materials/fluid deposition. 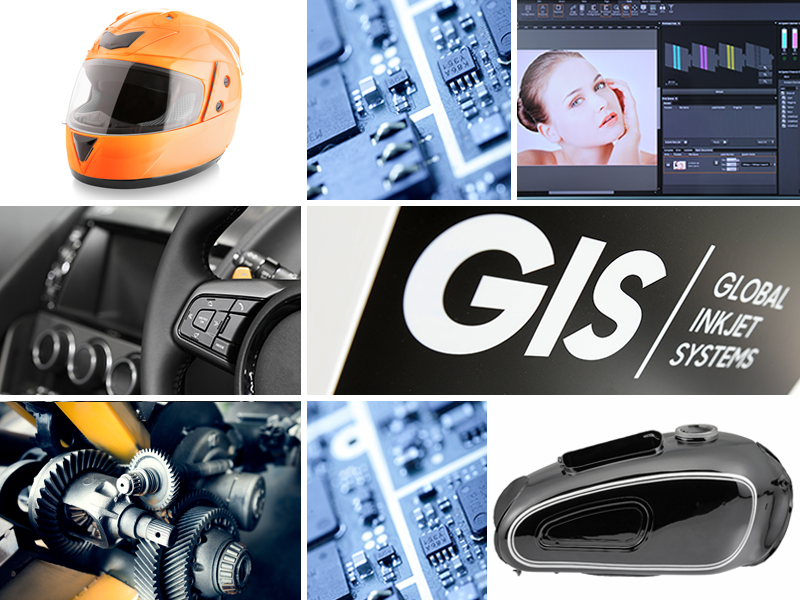 With over 10 years of proven innovation, GIS has a programme of continuous investment in R&D. Our collaborative approach to business with our partners enables inkjet technology to be introduced in manufacturing and applications where you might not have thought it possible.